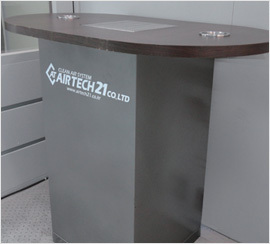 Based on AIRTECH21’s own the technology, particles size less than 0.01μ can be purified effectively. 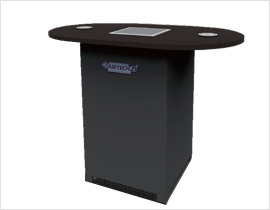 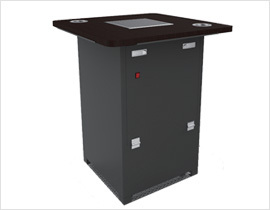 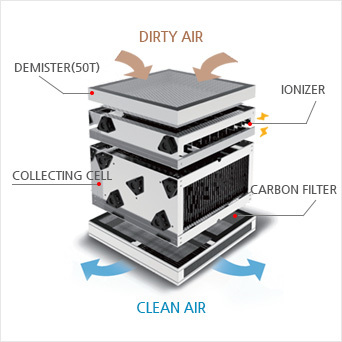 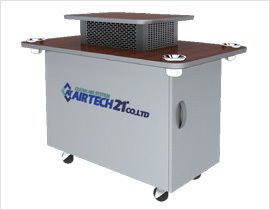 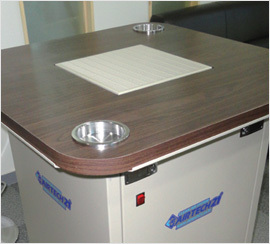 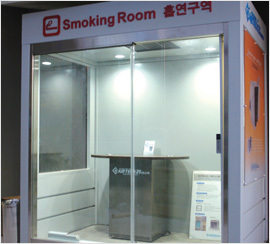 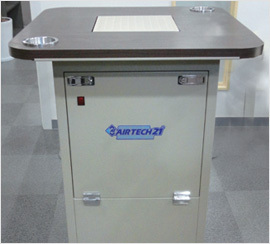 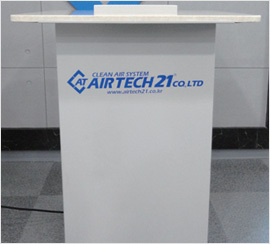 If polluted indoor air is inhaled into CLEAN AIR SYSTEM smoking table, hazardous air is collected to release fresh air through double step charging type electrostatic precipitation method. 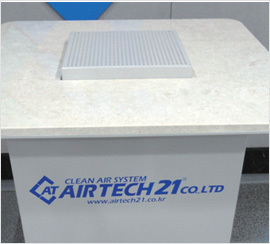 AIRTECH21 can purify polluted indoor air based on its most advanced technology to produce ATC SERIES by 10~5000㎥/min among the industry.